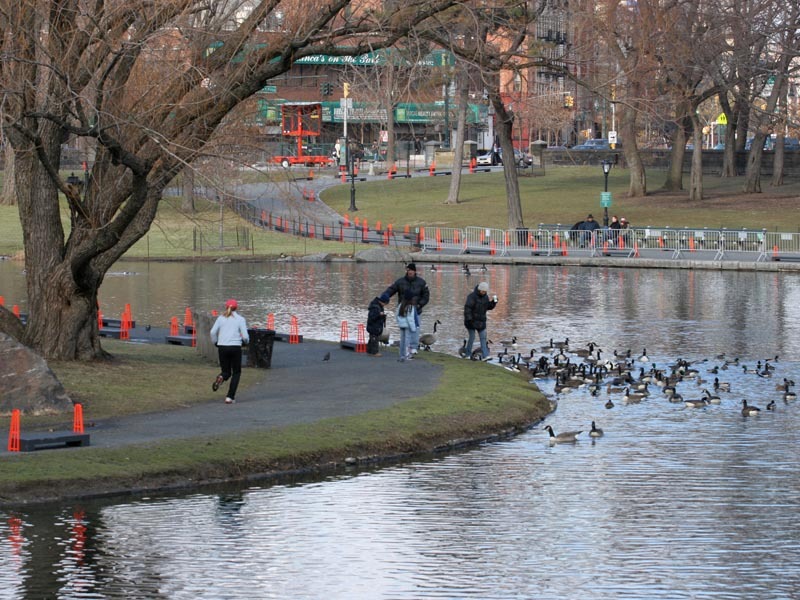 The 11-acre Harlem Meer (Dutch for “Lake”) and its surrounding wooded landscape were constructed after the lower Park had been completed. The saying “Save the best for last,” comes to mind when visitors experience this ruggedly beautiful setting. They can see swans and grebes leaving small jet wakes in the water. They can look south and see dramatic rock outcroppings angling sharply to the water, and then, with a simple turn of the head north, see the buildings of Harlem and watch traffic navigating Duke Ellington Circle. 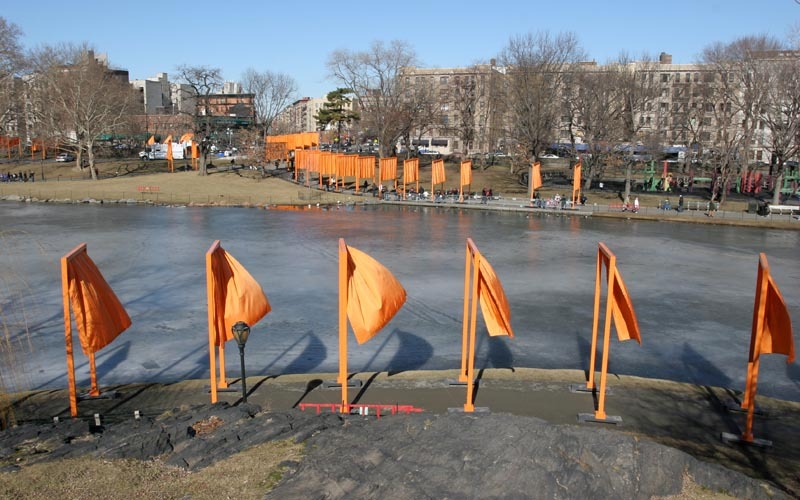 The creation of the Harlem Meer was not, however, a straightforward process. In 1860, the creative genius of Olmsted’s design skills were evident, but so, too, were his shortcomings as a manager. Under Olmsted’s watch, there were lengthy delays in Park construction and inconsistent oversight of Park expenditures. Olmsted insisted on staying in charge, however, saying, “No one but myself can understand at the present time, the true value or purpose of what is done on the Park…” In spite of Olmsted’s plea, the Park Commissioners turned to one of their own, placing Andrew Green, the board’s comptroller, in charge. He saw to it that construction accelerated; he also completed financial negotiations for additional parkland between 106th and 110th Streets. 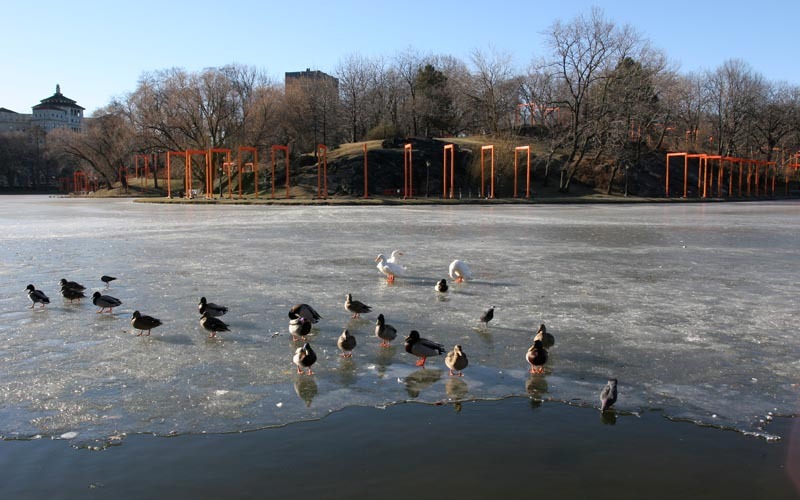 These 65 acres constitute today’s Harlem Meer landscape, which reflect Olmsted and Vaux’s plan to retain the northern end’s rugged topography, advancing the construction of the northern end of the Park. 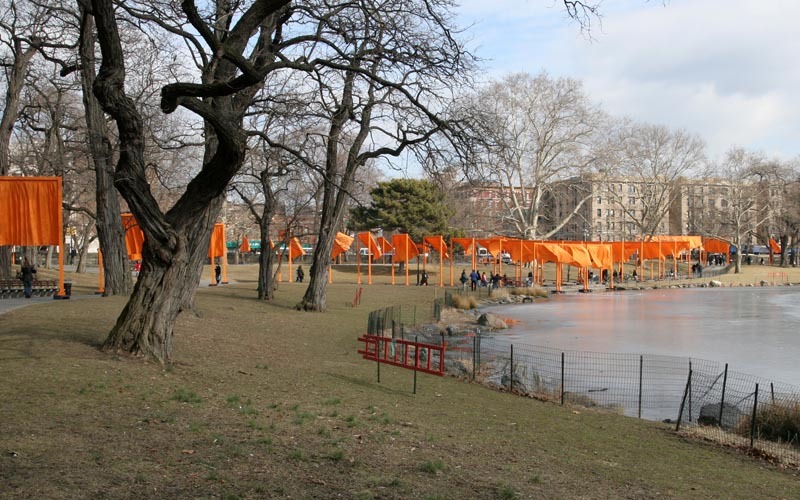 A swamp became the 11-acre Harlem Meer and the surrounding wooded areas came to include a planted Ravine and rustic waterfall. A 1940s reconstruction changed the existing soft grassy shoreline to a concrete and fenced edge. But in 1993, the Meer’s shoreline was returned to Olmsted’s original vision, with a miniature sandy beach added for whimsical effect. A cove in the southeast corner of the Meer has steps going down to the water’s edge. There visitors can sit surrounded by native plants – roses, hydrangeas, pickerel weed, and irises – that spill down the slope and to the water’s edge. Surrounding the Meer are some of the Park’s most impressive trees: oak, bald cypress, beech, and ginkgo. The Meer and its landscapes today offer an amazing array of family-related activities: catch-and-release fishing; two playgrounds with water features; Park-related tours and exhibits and talks at The Charles A. Dana Discovery Center; the nearby Conservatory Garden; and Lasker Rink for skating or swimming. Don’t forget summer jazz and summer evening dancing on the terrace at 110th Street adjacent to The Charles A. Dana Discovery Center. 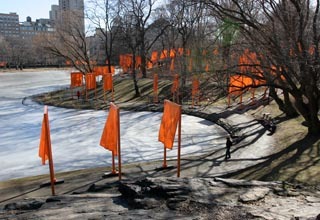 Christo’s Gates on the shore of the Harlem Meer. 13 February 2005. 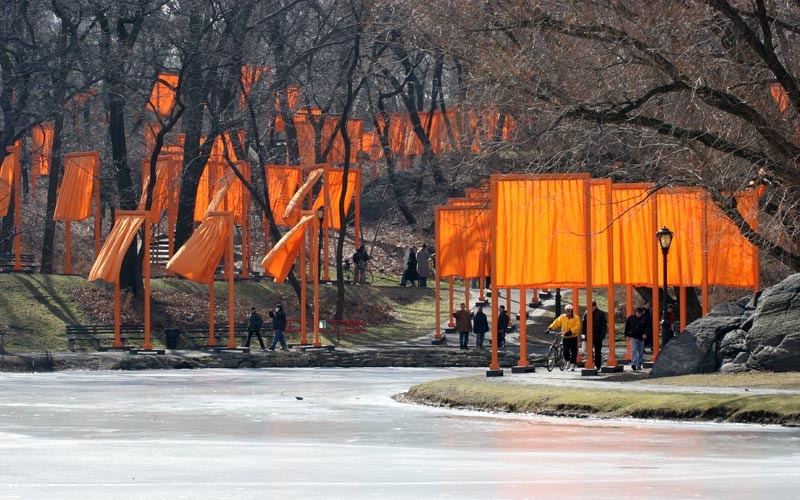 Christo’s Gates on the shore of the Harlem Meer. 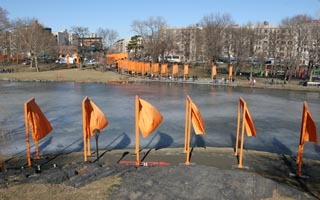 12 February 2005. 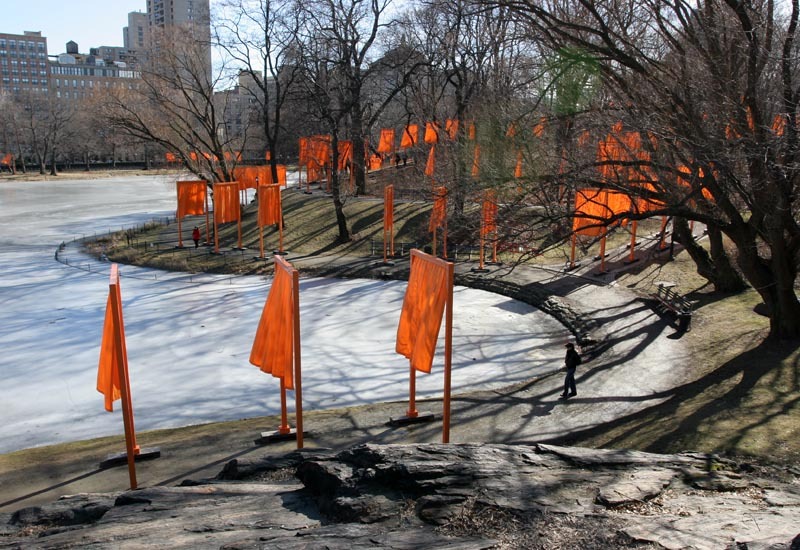 Christo’s Gates on the shore of the Harlem Meer, near the Lenox Avenue entrance. 12 February 2005. 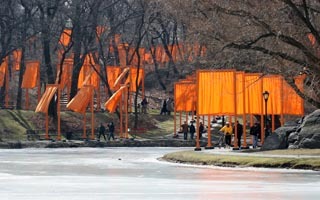 Christo’s Gates on the shore of the Harlem Meer. 11 February 2005. 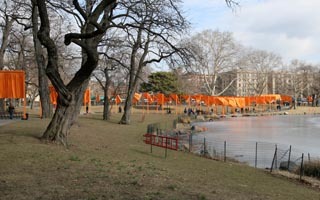 The bases for the gates are installed around Harlem Meer. 9 January 2005.